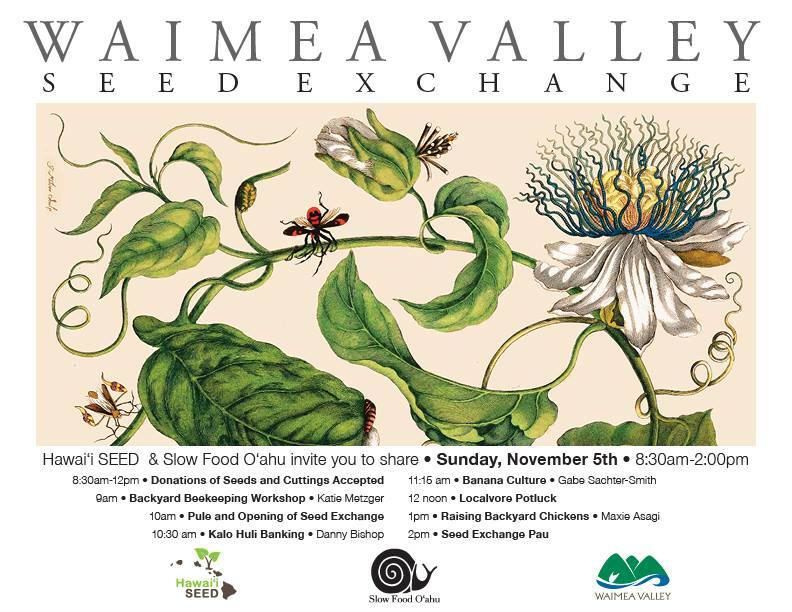 Hawai’i SEED and Slow Food O’ahu are organizing a 2nd “Seed Exchange & Gardening Fair” in Waimea Valley on Sunday, November 5, 2017 from 8:30am until 2:00pm. There will be a locavore potluck at noon. If you are attending the potluck, please bring your own plates, utensils and cups.